Pahrur Dalimunthe is the founder and the managing partner of DNT Lawyers. 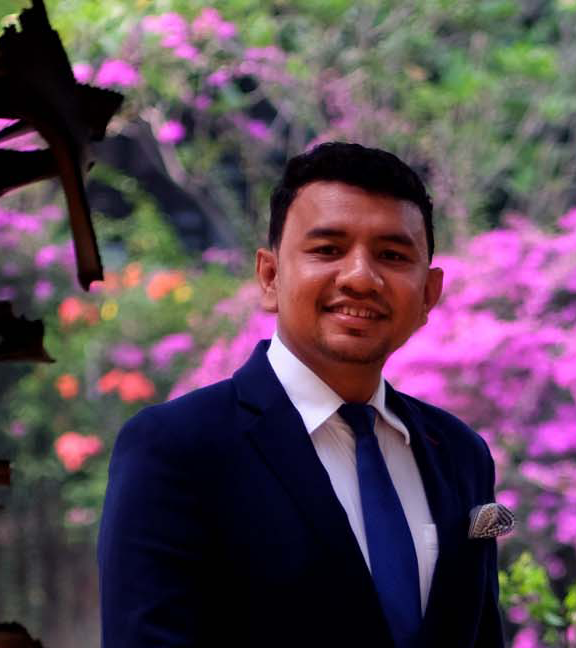 After graduating from the Faculty of Law of the University of Indonesia, Pahrur continued his career as an advocate for several years at the President’s Delivery Unit for Development Monitoring and Oversight (UKP-PPP), the Presidential REDD+ Agency and the Presidential Task Force to combat Illegal Fishing (Task Force 115). In that institutions, Pahrur actively counseled prosecutors and polices in investigating various national and transnational cases. At the same time, Pahrur took part to develop legal policies, included co-developing the natural resources- environment legal reform roadmap which was later launched by the Vice President. Different perspectives from the government’s point of view makes Pahrur has a complete understanding of various types of legal problems in criminal, civil and state administrative law in Indonesia. Pahrur is often invited in numerous important meetings amongst the ILO expert meeting on labour exploitation in Oslo, FAO/IMO Ad Hoc Working Group in London, IOM Regional Conference on Ethical Recruitment in Seoul, Indonesian Fisheries Judge Certification Training in Bogor, Kenya FishFORCE High-Level Stakeholders’ Meeting, UNODC Regional Workshop on Identifying Risks of Economic Crime and Corruption in Bangkok, and Interpol Working Group in Copenhagen. Pahrur also became the co-author of the book Alam Pun Butuh Hukum dan Keadilan (Even Nature Needs Law and Justice) along with Dr. Mas Achmad Santosa S.H. LL.M and was also involved in writing the Report on Human Trafficking, Forced Labor and Fisheries Crime in the Indonesian Fishing Industry together with International Organization for Migration and Coventry University. Pahrur’s expertise on white colar-crime matters including corruption, money laundering, cybercrime and corporate crime. Besides, Pahrur is also specialist on maritime and fisheries law, environmental and natural resources law, plantation and forestry law, labor law, and immigration law.